*. Where can we find Music? *. When do you listen to Music? *. Why is the Music essential? The App helps your Child to learn something valuable about Music in a Fun and Entertaining way. Music for Children is designed for Preschoolers and Kindergarteners and goes through the different styles and ways that Music appears in our lives: from the Beautiful Sounds of Nature, to Orchestral Instruments, and DIY Music using everyday objects. Let’s children explore the different sounds they can find, and learn to appreciate in their lives. Our Apps are designed by keeping the Children and their Parents in mind, thus the Apps are Ads Free. Similarly, you won’t need any Internet/WiFi access after downloading and installing our apps and this makes them playable almost everywhere. 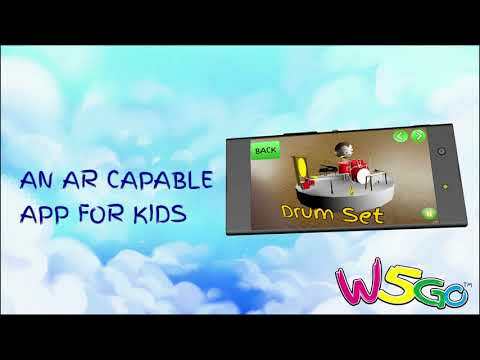 W5Go is designed to raise the digital consciousness of the populace starting with the very young. It introduces the child to Digital Techniques and Technology in beautiful computer Graphics, Animations and Augmented Reality in a fun and entertaining way. It is also a good interactive way for the child to learn English words and expressions while playing the W5Go apps and games. The W5Go Apps and Games are the teacher, the Child simply learns by osmosis. If you have an idea about improving this App, by bringing in more fun and interactivity, please write to us at info@w5go.com.